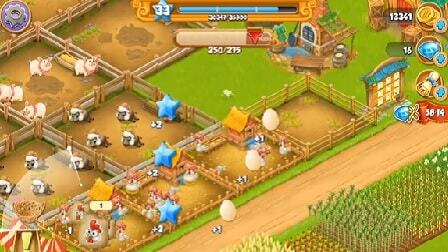 Looking for the Best Farming Game Apps for Android on Google? Ah, you come here at the right time, because in this article, I will give you a list of the best farming sim games of all time on Android that can be played on phones or tablets. Not only children who like this genre, even adults like to play it too when bored. Although many of these games were released a few years ago, many new games also cannot beat their popularity until now. I think it's because the developer keeps update and add new contents regularly. Here, l give you the list of some free and best Android farming games that might be suitable for you to play. It seems most of the kids till adults are familiar with this farming simulation game developed by Supercell. 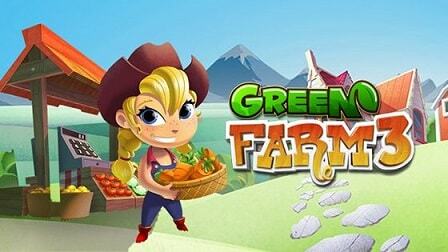 No doubt it's the best and most popular farming game on mobiles and tablets. In fact, it became number one in more than 122 countries. For those of you who like to gardening, Hay Day can be a friend to fill your spare time. This game is very exciting, not boring, and very addictive when played. In this game, you will plant various types of plants, then you can trade with coins. The coins you use to buy a new type of plant or new land to plant crops. In addition, you can use it to buy some facilities to manage your agricultural produce. For example, a facility for produce the sugar from cane. You can also enjoy living in the countryside taking care of animals and building your farm. 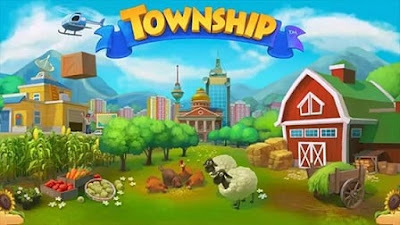 Township is a unique Android game that blend farming and city-building simulations. 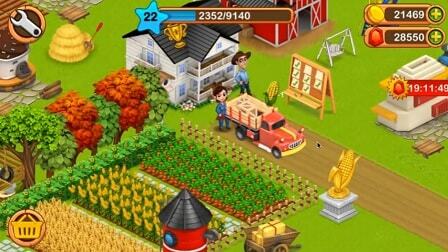 Manage your farm and make money to build your dream town. You can beautify your city with houses, apartments, hotels, cafes, restaurants, and other buildings. Be sure to keep playing Township because there are always interesting events and rewards. Be careful, this game capable of bewitching you to the addiction! FarmVille 2 is the second sequel to the same game title. 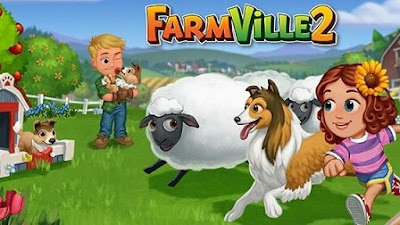 This game developed by Zynga, not only offers a single player feature, but there is also a multiplayer feature that lets you play with friends. So, this will add to your excitement while playing this game. The challenges are quite diverse. Your creativity is greatly tested in this game. This is because you will make a farm as you wish. But be careful, if your choice is not right, you could lose money in this game. Pocket Harvest is one of the best farming android games. 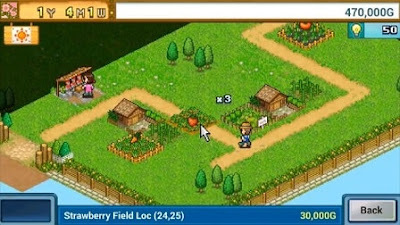 This game offers a gameplay where the player act as owners of farmland. If you've ever played old school Harvest Moon or Stardew Valley, then you'll feel familiar. Because the features and graphics in this game are very similar to them. In addition to keeping you entertained with challenges and excitement in this game, the feeling of being a farmer and a reliable rancher will also be yours. Unfortunately, this game is not free. There is some money you have to spend to buy it on Google Play. Do not forget to finish the quest to get certain items and make your farm the best. Now we have a farming simulation game from PlayDay Games, a developer who has a pretty good reputation in the world of mobile gaming. Through this game, developer presents their imagination into a beautiful farming game. 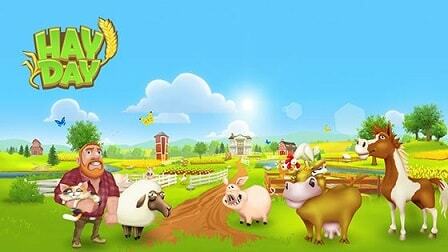 But a lot of people think that this game is a rip-off of Hay Day. As you might think, in this game, you have the task of building a farm. First, you must have a house, then factories, farm, and barn for raising the livestock. Each element will produce products for livestock purposes. And best of all, this game can be played offline. That's the Top 7 Best Farming Sim Games of All Time for Android. Have you played one of them? if you haven't, I suggest you try it now.